Andover, Massachusetts, April 11, 2019 - In June of 2018, ACEINNA announced its launch as a $50 million spinoff from MEMSIC. Since then, ACEINNA has notched many important achievements. In addition, launched earlier this year, the new ACEINNA AMR based Current Sensor has already received a great deal of positive response from customers as well as from the editorial community. The MCXxxx AMR Current Sensor is targeted for use in a wide range of industrial, vehicle, appliance and telecom power supply applications. During the last year, in addition to the AMR current sensor, we have successfully launched three other major new products – the OpenIMU300 sensor for autonomous vehicle navigation and guidance, the new INS1000 dual band RTK INS (Real-Time Kinematic Inertial Navigation System) to enable highly precise location of vehicles, and the new MEMS based, MTLT305D Dynamic Tilt Sensor Module sensor for agricultural, construction and off road equipment operations. These product announcements, awards, news releases and associated articles have been picked up hundreds of times by industry press outlets worldwide. ACEINNA launched a new YouTube video channel with interesting and educational technology videos. See it here https://www.youtube.com/channel/UCwZQOW94N9KJ15Kn9At_TjQ. Additionally, we recently launched a new International English website (https://www.aceinna.com) as well as a dedicated China website (https://www.aceinna.cn/). We have expanded our operations in both the US and China, opening new R&D, administrative and manufacturing operations as well as doubling the number of engineers. ACEINNA Inc., is a leading provider of sensing solutions for automotive, industrial, telecom, datacenter and cloud infrastructure, consumer appliances, agricultural and construction markets. 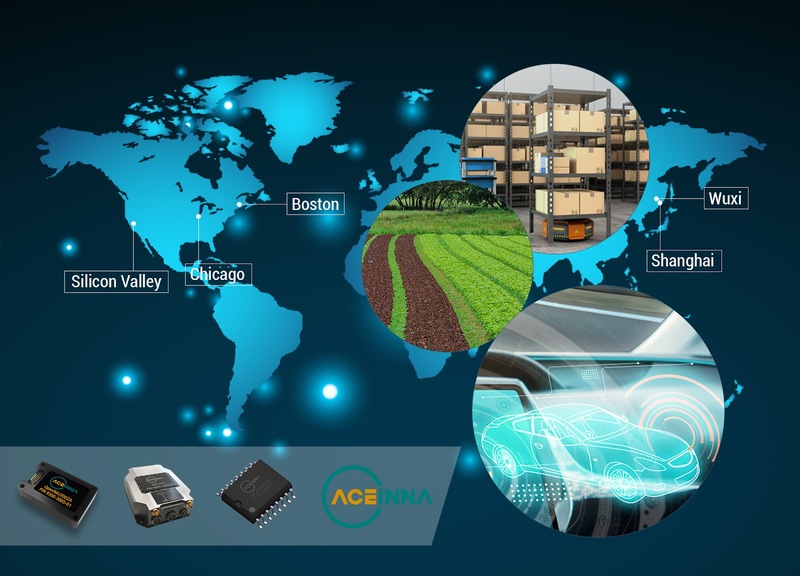 ACEINNA’s precise positioning solutions are MEMS based, open-source, inertial sensing systems that are leading the industry by enabling easy-to-use, centimeter-accurate navigation systems for the autonomous revolution. ACEINNA’s isolated current sensor product family is based on an AMR technology that enables industry leading accuracy, bandwidth and step response in a simple, cost effective single-chip form factor. ACEINNA has R&D facilities in San Jose CA, Andover MA, and Chicago IL as well as manufacturing facilities in Wuxi, China. ACEINNA has earned the coveted Design News/UBM 2019 Golden Mousetrap Award for its OpenIMU Platform for ADAS and autonomous vehicle navigation and localization. The IMU381ZA product was named as one of the Top Ten Sensors for Automotive by Electronic Products Magazine. In addition, the OpenIMU platform also received the Frost & Sullivan 2018 New Product Innovation Award in the global inertial measurement unit (IMU) industry.